So this weekend I went to my favorite store ever (Francescas DUH) and picked up a few things! 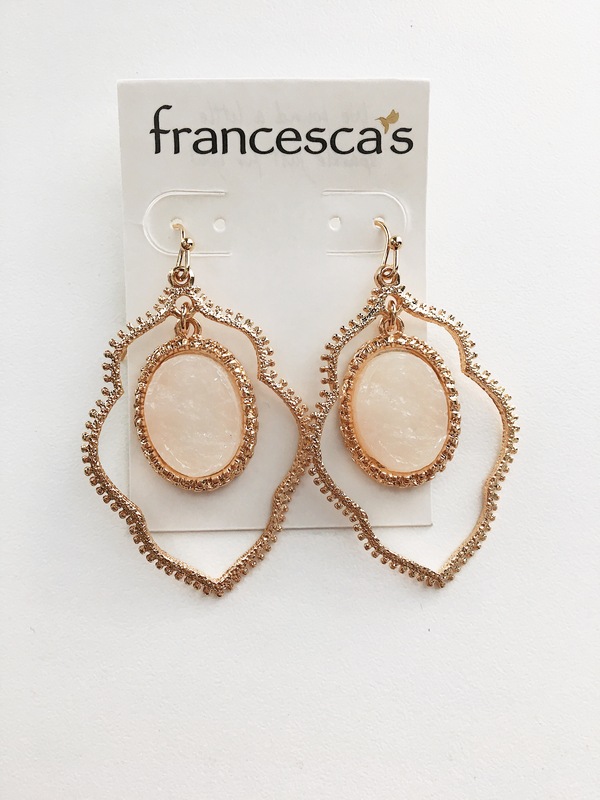 The Francescas at my mall was also having a four day 20% sale on all regular priced dresses, handbags, and tops and buy one get one 40% off on jewelry! If you follow me on Instagram, you probably saw this on my insta story the other day. 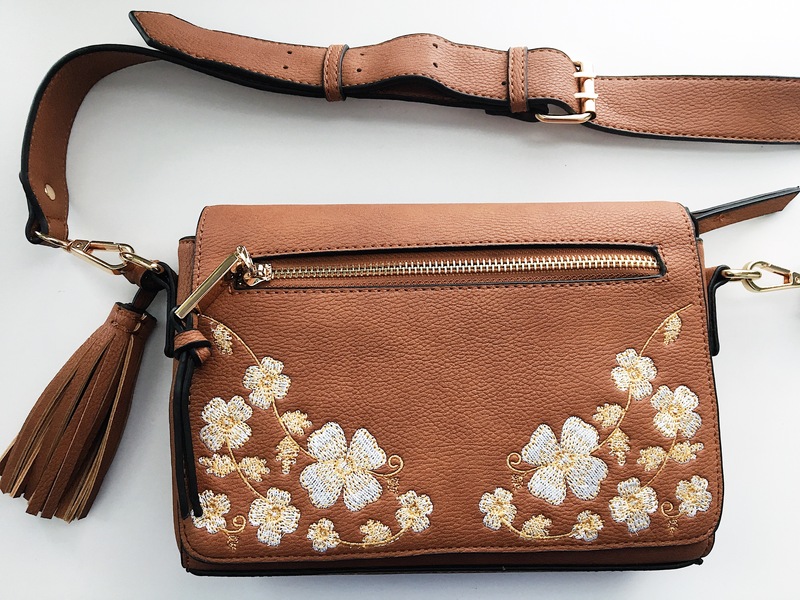 This super cute, floral crossbody purse was originally $38 but I got it for $32. 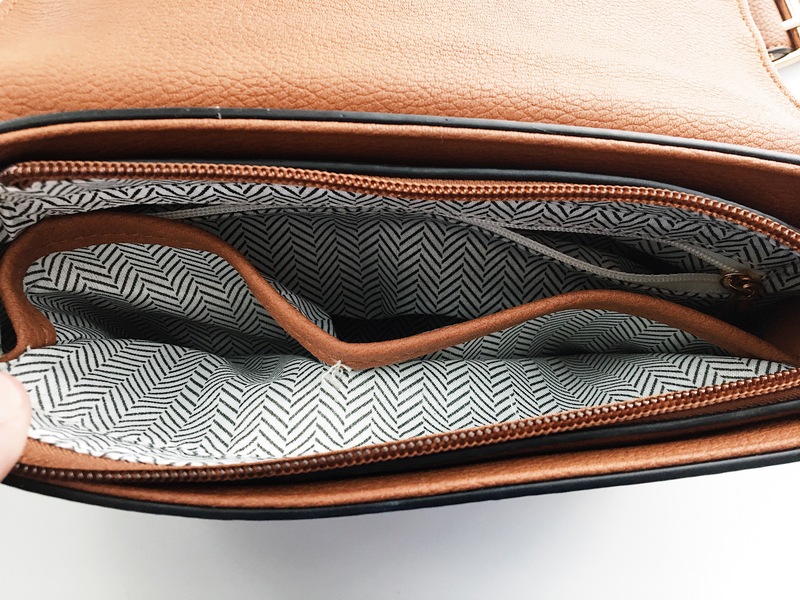 The pocket in the front is large enough to fit my IPhone 6S in it which I’ve never had a small purse that is able to do that. I found this really handy! 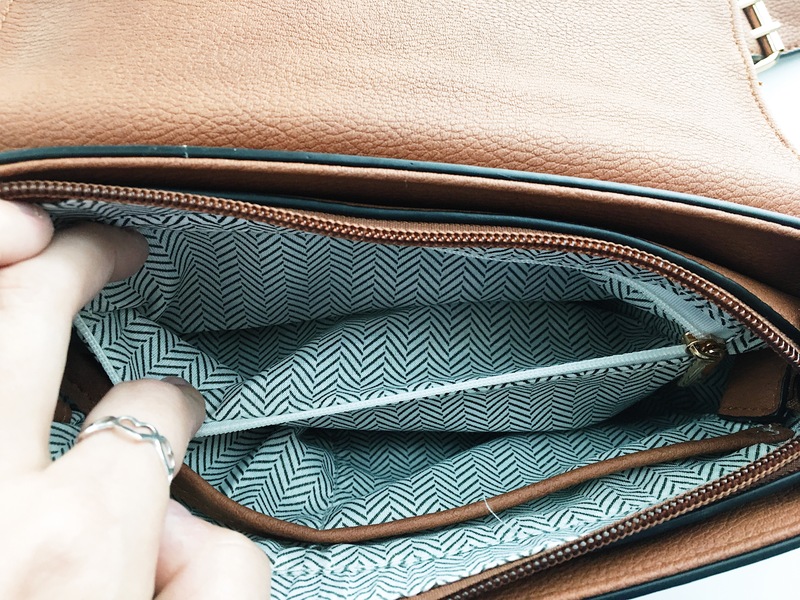 The floral outer flap of the purse also has a small magnet to keep it from opening all of the time. This purse also had plenty of pockets inside. It had two pockets on the side in addition to the large regular compartment. It also had another, pretty large pocket that has a zipper too. 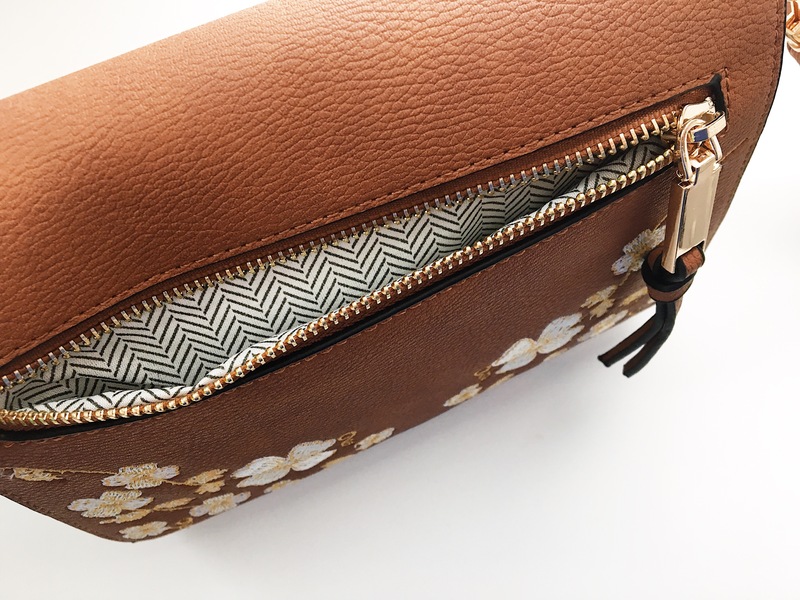 The whole inner section of the purse also zips up so when the floral flap of the purse goes over, nothing falls out. 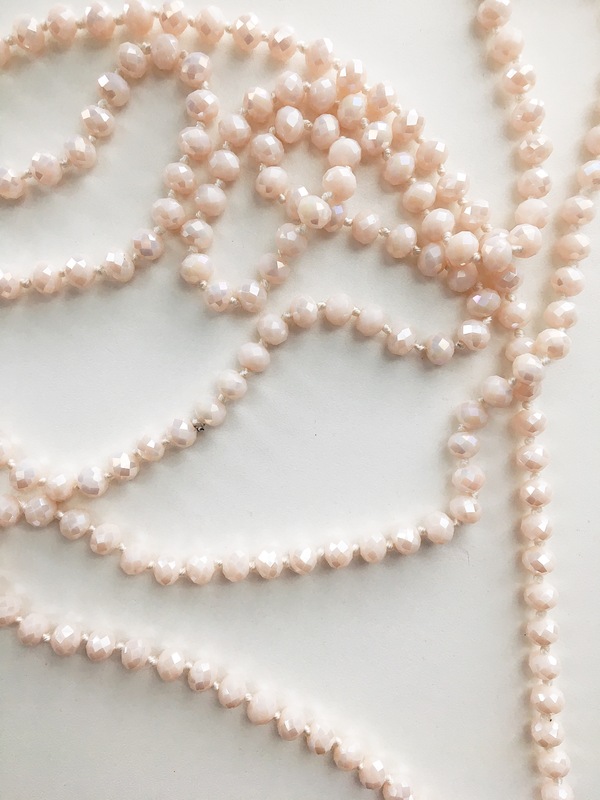 The next thing was the tassel necklace and it’s super light and wearable! 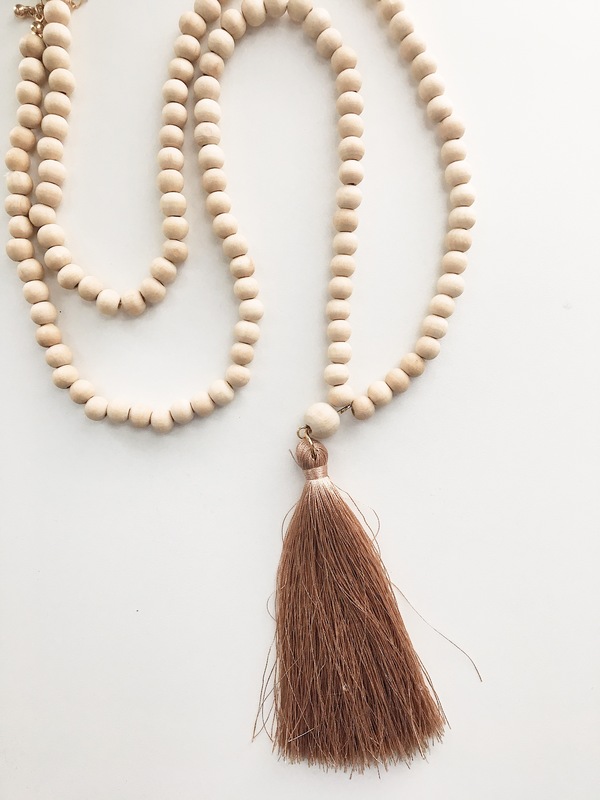 It has small wooden beads and then a large tassel. It’s neutral so it will go with almost everything! It was originally $26 but I got it for $21. Next was this necklace! This one had some weight to it and it’s very long so it can be double looped! I really loved the color and it sparkles when it catches the light! This was my full priced piece of jewelry and it was $28. The last thing I got was this really cute pair of earrings! I have had my eyes on this set for a while and I finally gave in and bought it! The set was $16! So that is everything I got at Francescas! But anyways, I hope y’all had a great Memorial Day Weekend!! Please check out the rest of my blog and feel free to check out my follow page to find my blog’s Instagram, my vsco cam, Pinterest and etc!